In the 1980s, the beauty looks ranged from bold to downright garish. 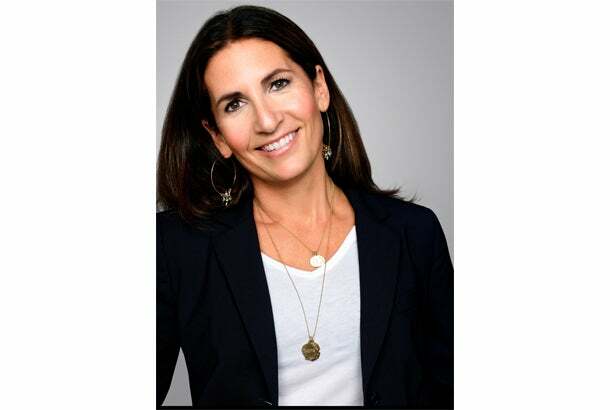 As a young makeup artist trying to make it in New York City, Bobbi Brown had no problem with high drama – she majored in theatrical makeup at Emerson College in Boston. But she wanted to help women showcase their natural beauty and give them products that wouldn't feel so artificial or heavy. The idea to create her own line first came about when she was working on a photo shoot for the magazine Mademoiselle in 1988, and discussed the kind of makeup she was after with a chemist who worked at Kiehl's who ultimately helped her design her first product: lipstick. Another chance meeting and a conversation with a cosmetics buyer at Bergdorf Goodman led landing a deal with the famed department store. But before the launch, she got a call that they couldn't take her products for that season while she was at work on a shoot for Saks Fifth Avenue. The art directors she was working with on the shoot said they wanted it too, so she turned around and said to Bergdorf's that she had another interested party in Saks. But then, Bergdorf's called her back and said they would take the line. So in 1991, the Chicago native launched her lipstick collection at the New York department store, with a collection of 10 colors, in browns, pinks and nudes that became an instant hit. She aimed to sell 100 over the first month, but ended up selling 100 on the very first day. The following year, she struck gold again with her Skin Foundation Stick. In 1995, she sold the company to Estee Lauder for a reported $74.5 million and next year, Bobbi Brown Cosmetics will turn 25. Brown, who has done makeup for everyone clients as varied as the Rolling Stones and Dr. Jill Biden, is also passionate about philanthropy. In 2013, she started the Pretty Powerful Campaign for Women and Girls in partnership with Girl Rising to help provide education to women around the world and is involved with Dress for Success, and organization that provides clothes for job interviews and career advice for women. Besides being a beauty entrepreneur, Brown is a mother of three, a bestselling author and lends her expertise as the editor-in-chief of Yahoo Beauty and Beauty & Lifestyle Editor of Elvis Duran in the Morning show. The founder and chief creative officer has watched her empire grow, with her products sold in more than 60 countries around the world. We caught up with her to talk about breaking the mold, finding a solid support system and how kindness will come back to you. A: When I first started, I thought I had to be a certain way. I thought I had to fit a more corporate mold. I’d wear black suits and high heels to meetings, but I just didn’t feel like myself. Over time, I realized that the most important thing I could ever do, in my life and in my business, is be who I am. This philosophy drives every decision I make. I always make a decision by feeling, not by thinking, from hiring a new colleague to developing products. For me, it’s never about what market research shows but about creating products that I’ve personally tested and tried, and I know make an instant difference. If you have something that you believe in, it doesn’t matter what other people think. A: I was lucky to have surrounded myself with people who encouraged me to be true to myself, allowing me to learn the importance of self-confidence quickly. Had I not realized this early on, I don’t think I would be where I am today. A: Trusting your instincts and learning to be confident in who you are and the decisions you make will help to maintain your brand’s authenticity and integrity in the long run. A: How hard it was going to be to start and grow the business and that it really never gets easier. A: Set long-term and mini goals for yourself. Don’t get overwhelmed: It won’t happen overnight. Always have a plan and re-evaluate it regularly. If a door closes, find a window. Don’t take no for an answer -- there is always another option. Work on your craft, network and always be nice. Hard work and niceness come back.